Originally published April 24, 2016 on CambridgeLearns. In the work I do daily, I have the opportunity to visit many classrooms. These visits allow me to not only connect with and support students and staff, they give me the opportunity to have a strong sense of the learning taking place. Like when I visit digital portfolios, my class visits always take me to the same question, “Where is the learning?” And when I talk about learning, it’s important to know that I don’t just look at specific curriculum connections, but also the development of core competencies and “soft” skills. A phenomenon that has stormed into Cambridge and many other schools throughout SurreySchools this year is 3-D design and printing. Everyone seems interested in the possibilities of this new technology and students are spending hours of their own time at home designing and testing items. As students become more proficient with their design, we gradually grow closer to the point where they begin to think of how they can harness the power of 3-D design and printing to actually solve real-world problems. We know students everywhere are doing this already! A great example of this is a wonderful project completed by outstanding local Teacher-Librarian Anna Crosland and the students over at my previous school, Georges Vanier, who used 3-D design to create and print braille tags for doors to help a visually impaired student navigate safely from place to place within the school. Read more about this work here! 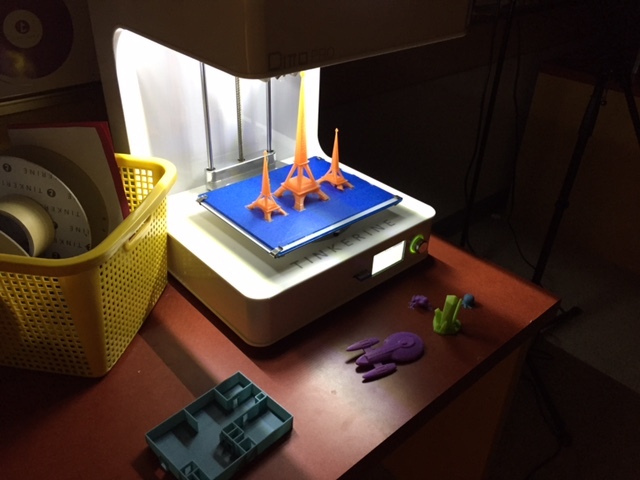 One teacher in particular at Cambridge Elementary, Peter Beale, has demonstrated a genuine passion for learning about 3-D design and printing and has opened up this new world of learning to his students. Recently, they were given the opportunity to reflect back on their 3-D experiences and they were encouraged to go back to the all important question, “Where is the learning?” Sure we knew students were engaged and had a great time designing and printing their objects, but could they articulate their learning? “I created a 3D model of the Eiffel Tower. Later on I added two more towers like the Leaning Tower of Pisa and the Seattle Space Needle. You might be wondering how I made the Seattle Space Needle, Leaning Tower of Pisa, and the Eiffel Tower. Well, I searched up tinkercad models of these towers to try and find the right shapes. Somehow I was able to create these towers. I was pretty impressed myself. Creating the Eiffel Tower wasn’t easy. I really didn’t know what shape to use for the base, until I started experimenting till I finally found it. I really only needed to use 3 shapes. Pyramids, Cubes, and the shape called a Round Roof. Once I was done, I thought it turned out pretty good but I thought I needed more things. You’ve probably noticed that I didn’t add the criss cross like the real Eiffel Tower in Paris. I tried making it but it was complicated. Some things would pop out and it just looked like a big mess. Now the Space Needle was a different story. It was the hardest one. It took me days just to find the right shapes. I had to combine shapes just to have the right shape. I also searched up a model of the Space Needle and tried to make my Space Needle like theirs. The base wasn’t that hard until I got to the point where there were details that were almost impossible to figure out how to make. In the end, I was able to make it and I was proud of my self. 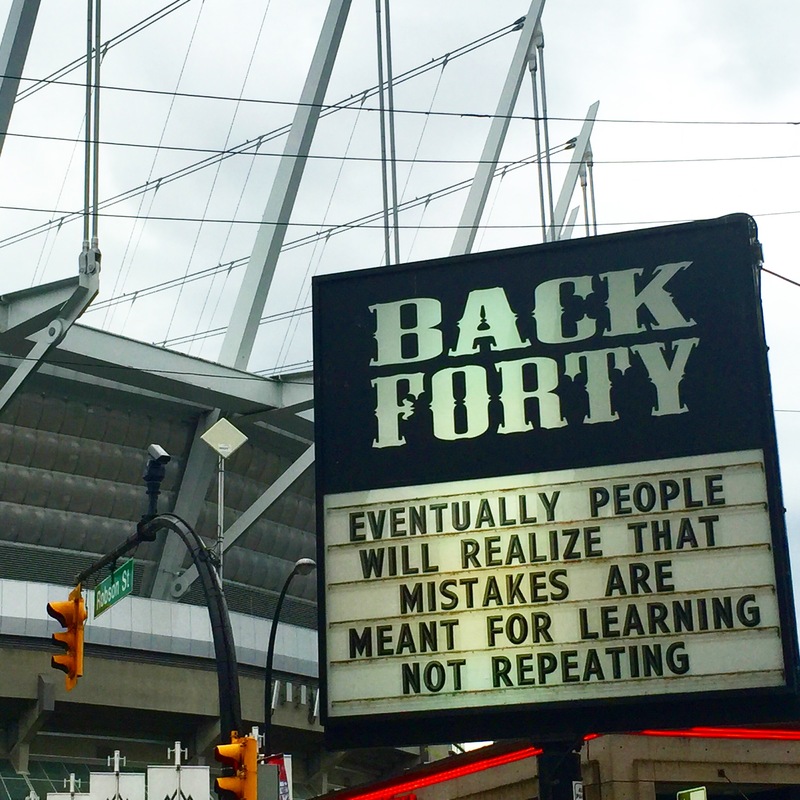 This learning story talks about critical thinking and problem-solving, not knowing and searching, trying again in the face of failure, and most importantly that mistakes help us learn. The student above communicates clearly where the learning is!